I had my 32 week appointment yesterday and I must say it was pretty uneventful, except for having to wait 45 minutes to see the doctor. My blood pressure, proteins, weight & Emma's heart rate were all good. Although I am up to 34 lbs gained so far the doctor is still okay with it. She did tell me to start paying attention to how much she moves since now she will be running out of room in the uterus. In a 2 hour period while I am at rest or at least still, she should move at least 10 times. The doctor especially brought this to our attention since Emma has a rotated heart, she wants me to pay special attention to her movement. 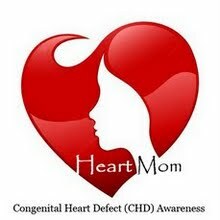 She was actually a little surprise that the Maternal & Fetal Medicine doctors do not have me monitoring her heart rate myself at home, but that has never been mentioned. So today I went on a photo shot at work with the Art Director & didn't go into the office. After we ate lunch I headed to 2 consignment stores near by to shop. I ended up buying 8-9 outfits for little Emma & I can't wait for her to wear them. I really wanted some dressy clothes for her to wear to church & outfits that are not pink. Most of the clothing we have received as gifts is pink but I wanted a variety. I totally understand that girls should wear pink but really, not every day. Anyway I had a great time today, I only wish I could have shared my shopping fun with Chris, my sisters or Mama.